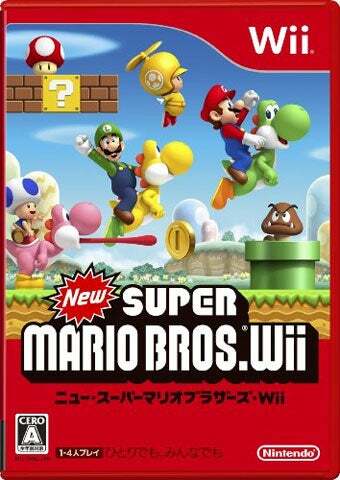 New Super Mario Bros. Wii holds onto its first place position in Japan for another week, outselling every other console game in the nation, including the PlayStation 3 and Xbox 360 re-release of Grasshopper's zany No More Heroes. No More Heroes: Heroes Paradise debuted in the top ten, but well below New Super Mario Bros. Wii, Tomodachi Collection and others, securing seventh and eighth place. The addition of No More Heroes in higher-definition gives us a rare top ten sight, with four PS3 games holding onto top of the chart spots, the dominant top ten platform this week. As is the case with North America, there aren't a ton of new releases hitting Japan. Only four new titles managed to crack the top 30 this week. Read on for Media Create's tally of the bestselling games in Japan for the week of April 12 to 18.